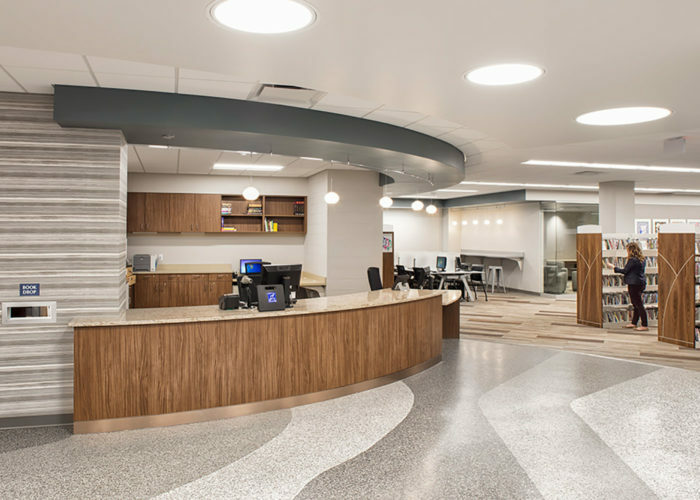 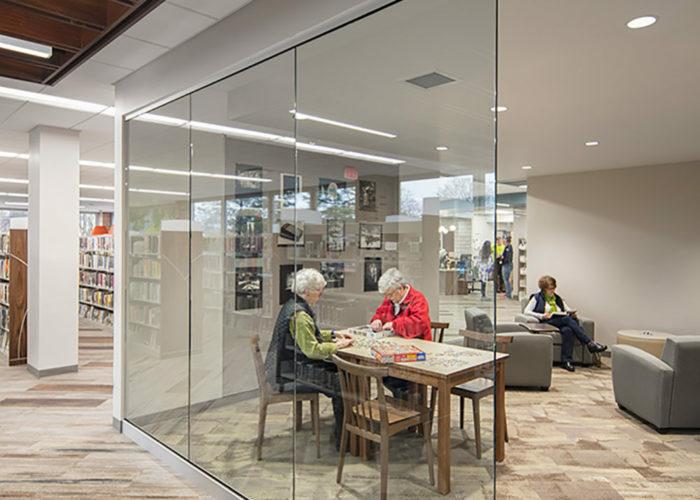 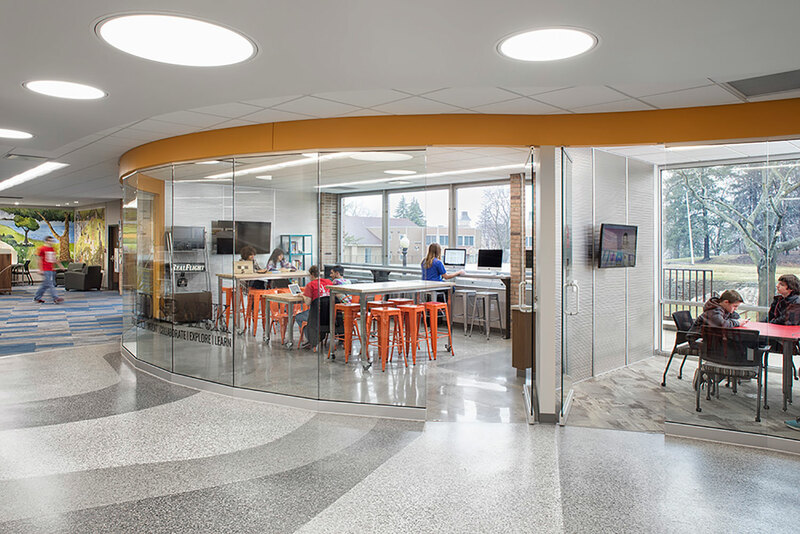 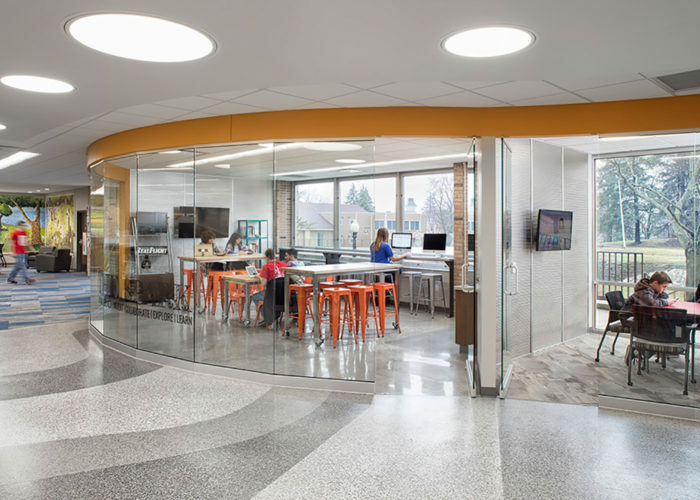 The Milton Public Library Foundation commissioned FEH DESIGN to study how the public library could be expanded to all three floors of the 24,000 square foot building. 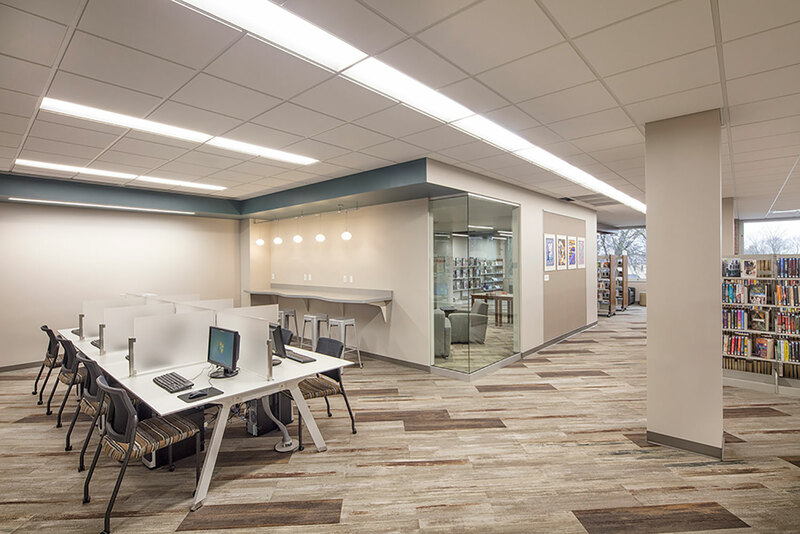 The Shaw Building was well suited for the public library however, the concrete floor system was not adequate for a contemporary library. 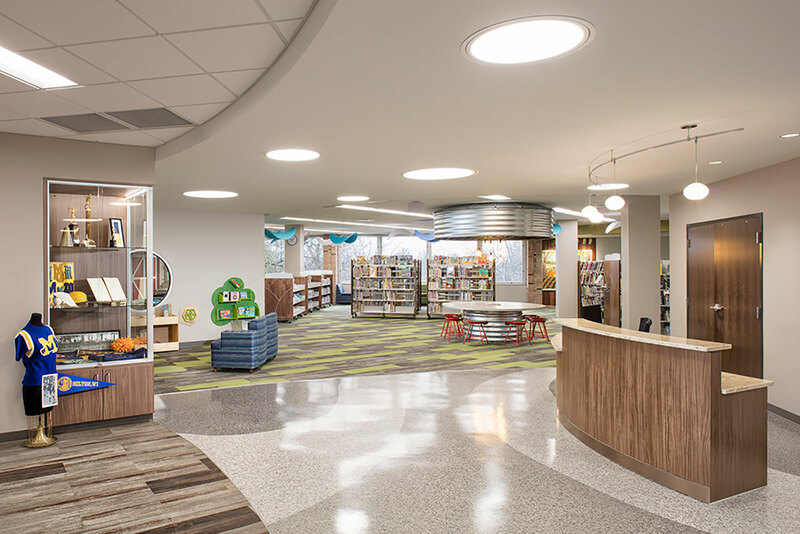 The design and furniture layout allowed the books to be spread out on each floor level which meant the floor structure did not need to be upgraded or reinforced. 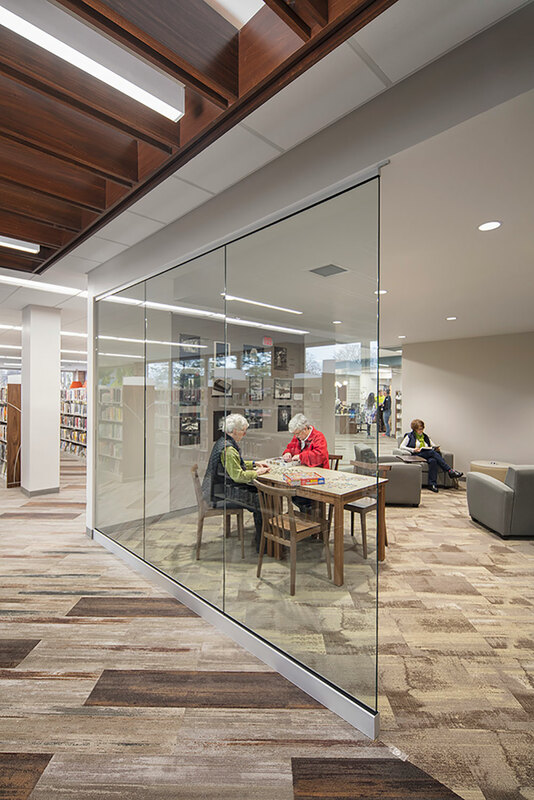 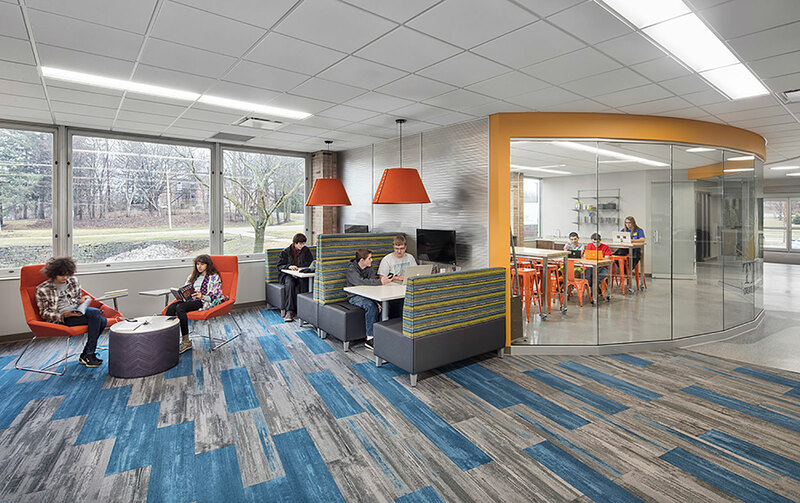 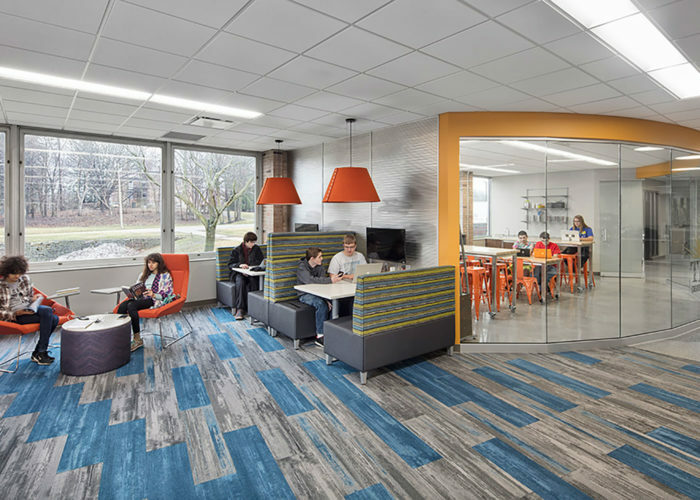 The shared strategy of using low shelving, wide aisles, and spreading out dense book collections also provides flexibility for each functional area. 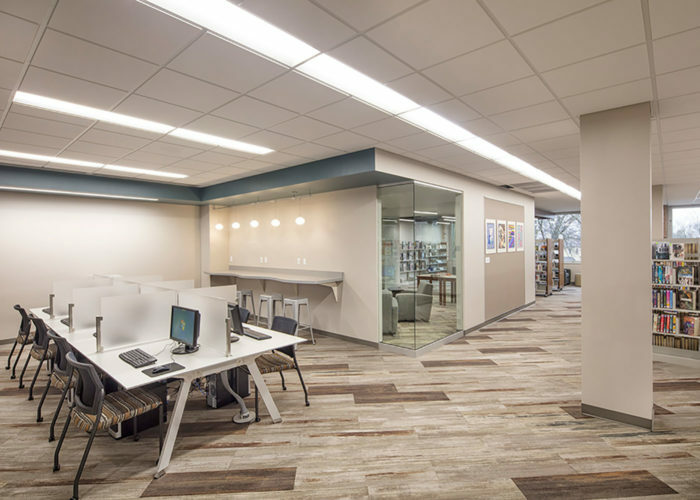 The design features a new two story glass enclosed lobby space that is open 24hour/7 days a week to provide unlimited access to library materials through book lockers. 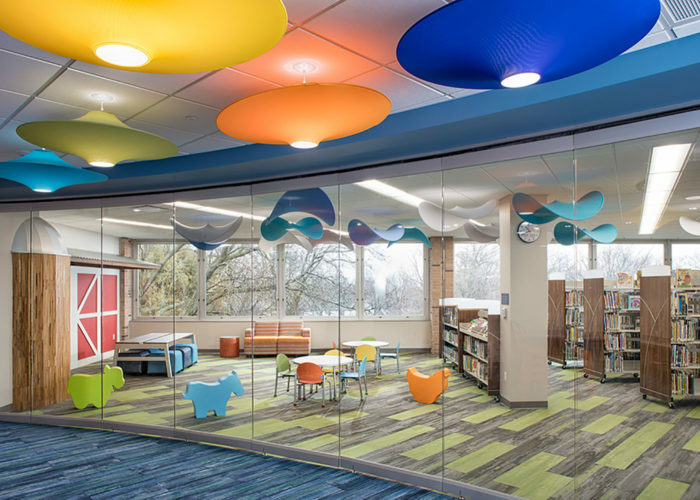 The first floor has a glass enclosed Spark Lab for hands-on creative activities as well as a young adult section, adult collection, computers, and quite reading room. 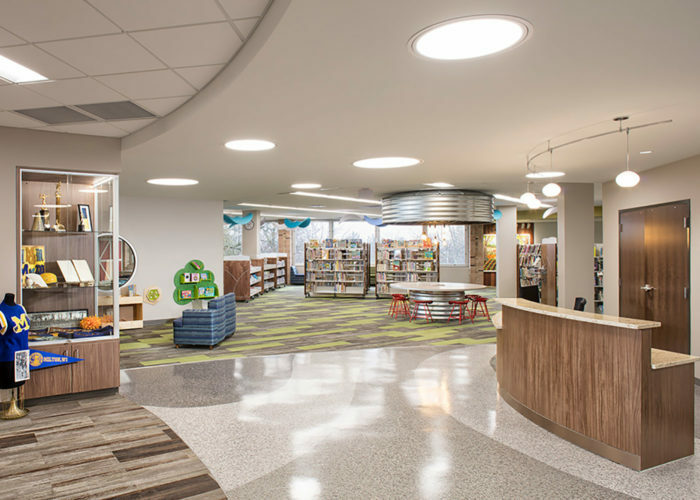 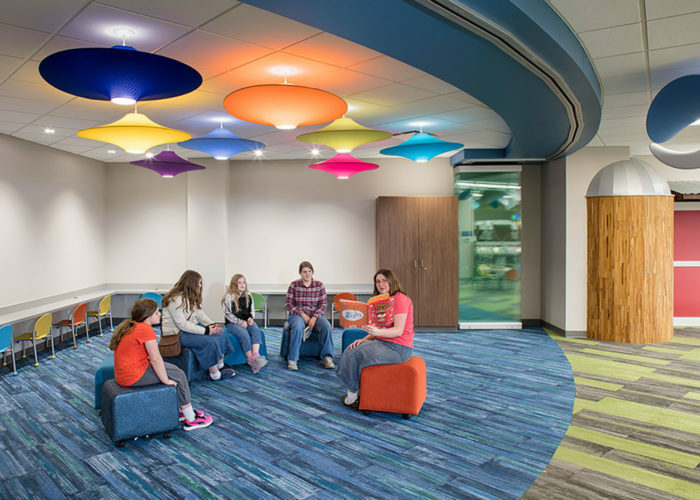 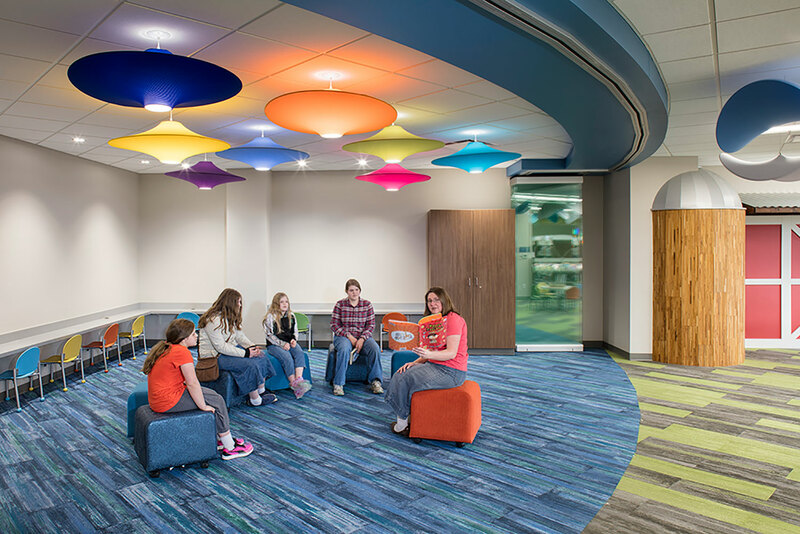 The second floor has a large community meeting room, history/genealogy collection, agricultural themed children’s area, children’s storefront play area, and a program room with a movable wall for large events. 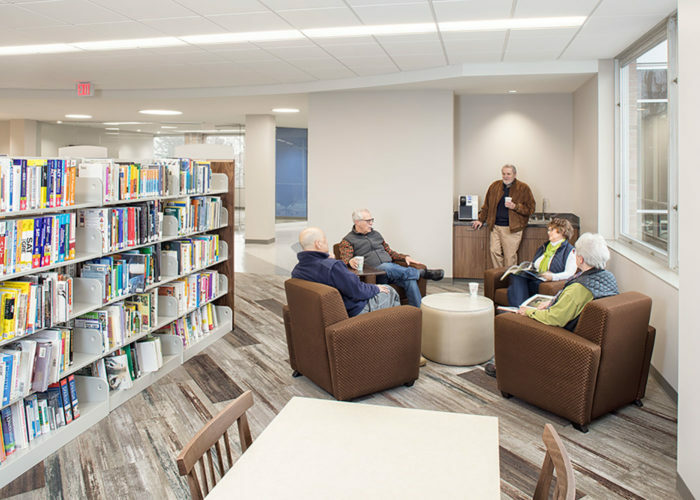 The lower level has a generous community room, building support space, and rental space for the Arrowhead Library system. 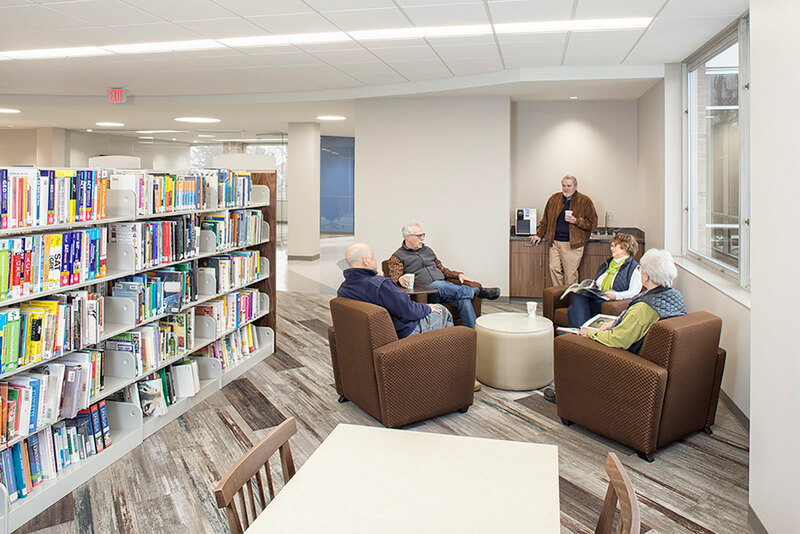 The new 8,000 square feet on the second floor allowed the library to provide enhanced library service to the community at a reasonable cost. 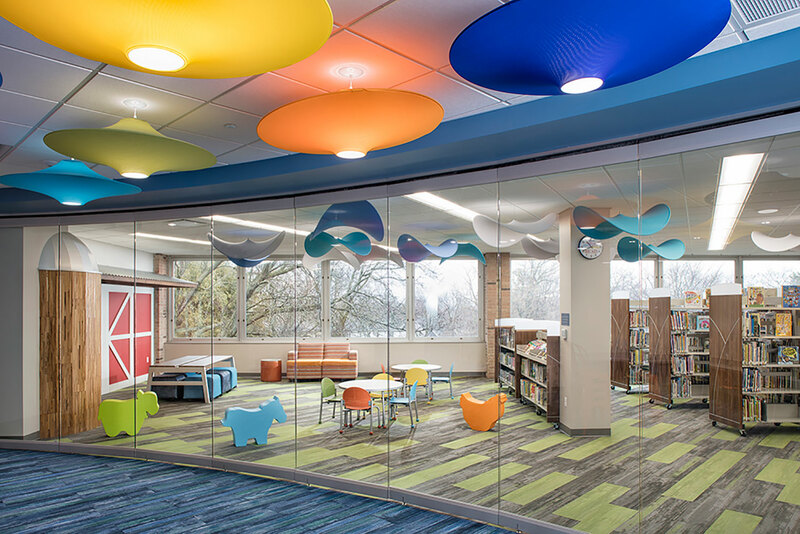 The library conducted a very successful fundraising campaign and the project was completed in February 2017.